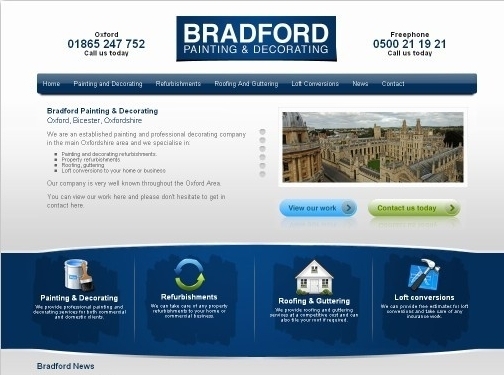 Established painting and decorating company based in Oxford, Bicester and surrounding areas. UK (Oxford) based company providing building and decorating services. Website includes details of services provided, testimonials, full company contact details.